"You know you're just throwing your vote away right?" No indescriminate stranger, family member, or friend. My vote is not a throwaway. "But it's not a major party. It won't win." I don't care. It is my constitutional right to vote for who I consider to have the ideology that falls in line with my beliefs of personal liberty. This nation is now over 240 years old. It has shown to us that we have endured through a monumental amount of suffering trying to defend people's right to make the decision on who will be their next leader. Many of those who have sacrificed their lives to make sure that we have the right to fall in line with what we believe, and that we are not persecuted for that belief. No vote is a throwaway vote. America is known for having it's history based on pushing against the status quo. We resist what is forced upon us and simply say: "No. You don't get to choose." 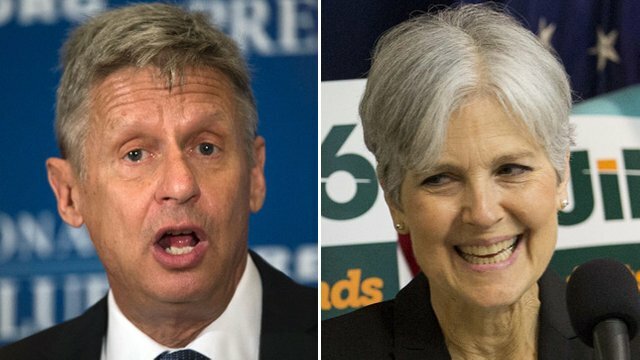 If we do gain the popularity our third-party vote so desires, it will rattle the two-party system which has shown to us its own level of corruption that spreads to no bounds. Our politics will slowly start to realize that we will go through fundamental changes that force the two-party system to break down. All it takes is people to vote in line for their beliefs. Not voting something just because it happens to be "the lesser of two evils." To make it more unbecoming, the 2018 midterms only prove further that people are falling in line with the party that seems to keep doing the same thing over and over sending us further into decay. Nobody seems to be happy about their party pushing into more extreme measures, divulging into more radical ideologies verus what made their party great to originate. Both parties started to become more authoritarian and it seems to me that both parties wish to control you and not focus on the individual. The idea that I am excersizing my right to vote is a powerful concept. To argue that because I am voting third party meaning I throw that vote away is just a flawed notion. Only if I would physically take my ballot and toss it in the garbage could I consider my vote a throwaway vote. So it comes into my belief that I do not care if it is the minority. I also do not care if the party loses in every single election for the entirety of my life. I vote for what is right. Not what is popular. I also vote in line with what this country is originally founded on. Not the authoritarian principles of a military industrial complex political party and certainy not a collective authoritarian regime of people who believe in the doctrine: "For the good of the people."